RxOffice® Stakeholder Management portal assists effectively meeting regulatory requirements, including those from the Consumer Financial Protection Bureau (CFPB). The seamlessly integrated module allows financial institutions to efficiently monitor their relationships with service providers and to reduce potential risk to customers. RxOffice®'s collaborative & real-time workflow solution makes process effective for managing the risks of service provider relationships. Also it helps to conduct due diligence to verify that the service provider understands and is capable of complying with the law. 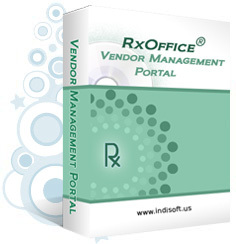 RxOffice® Vendor scoring module is fully customizable & configurable. It helps banks/non-banks to review service provider from regulatory, process & quality compliance perspective. Additionally it establishes internal controls and on-going built in monitoring to determine whether the service provider is complying with the law. It helps clients to take prompt action to address any problems identified through the monitoring process. Retrieve reports such as upcoming contract/insurance/certificate etc. expirations with ability to filter vendor category, status, services provided and etc.